CAE and Aviation Performance Solutions (APS) today announced an extension of their partnership to provide comprehensive academic and in-flight Upset Prevention and Recovery Training (UPRT) to flight instructors and student cadets attending CAE Oxford Aviation Academy flight school programs. Student pilots will receive Basic UPRT training with options for an upgrade program. Instructors will go through a Professional Pilot UPRT program. The UPRT program is designed to teach pilots how to recognize, avoid and effectively recover from stalls, airplane upsets and a range of other unusual attitude situations, as well as enhance overall manual flying skills to improve safety of flight. Loss of Control In-flight (LOC-I) is defined as flight that occurs outside of the normal flight envelope with an inability of the pilot to control the aircraft. LOC-I is the number one cause of fatalities in commercial aviation. As part of CAE’s Air Transport Pilot License (ATPL) program, APS has begun training CAE Oxford Aviation Academy cadets and instructors. Ground school and in-flight training using Extra 300L aircraft take place at APS’ school at the Phoenix-Mesa Gateway Airport (the former Williams Air Force Base) in the United States. Simulator instruction is in CAE’s ERJ-145 full-flight simulator (FFS) located at an Arizona State University campus, also at Phoenix-Mesa Gateway Airport. Beginning in 2013, upset training will be provided in Mesa to more than 200 cadets and instructors annually. 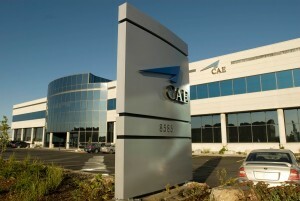 CAE and APS plan to offer the UPRT program to cadets and instructors at other CAE Oxford Aviation Academy ab initio flight schools worldwide, including Europe this year and other Academy locations based on market conditions. CAE and APS have previously provided UPRT training to CAE commercial and business aircraft clients, and have collaborated on an e-Learning course and an online simulator instructor tool, both based on the Airplane Upset Recovery Training Aid, Revision 2.